Monkey Shoulder has been named the most requested, and thus trendiest, Scotch whisky brand by the world’s leading bars. 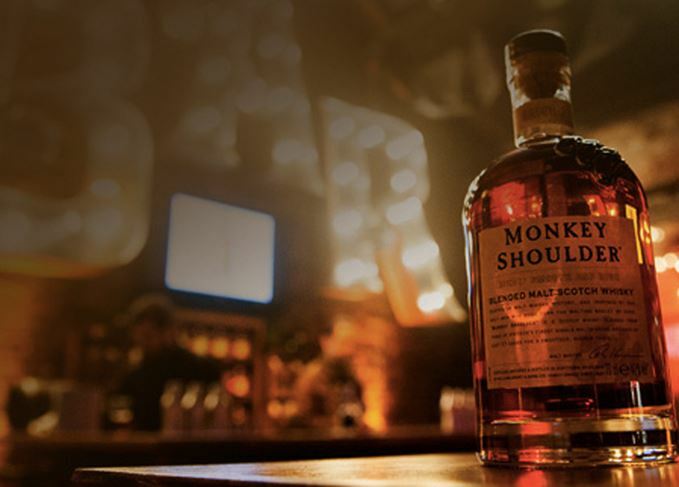 Blended malt Monkey Shoulder has rapidly grown into a cult Scotch whisky brand. The blended malt was asked for by customers of the world’s top bars more often during 2015 than leading brands like Johnnie Walker or Glenfiddich. According to the World’s 50 Best Bars Annual Report, run by Drinks International (DI) magazine, Monkey Shoulder is also the third best-selling Scotch whisky in the global on-trade, ranking behind Johnnie Walker and Islay single malt Laphroaig. While a quarter of responding bars claimed Johnnie Walker is their best-selling whisky, blends accounted for just 40% of the top 10. In fact, DI claims that the rise of single malts in overseas markets means blends now account for 80% of global sales. Furthermore, of the five best-selling single malts in the top 10, four are distinctly peated brands, with Macallan the only malt not produced on an island. Drinks International asked 100 bars around the world to name their three best-selling and three most requested Scotch brands. Actual sales aside, DI’s list of the most requested brands also reveal a shift in consumer preference toward single malts, with Laphroaig again leading the parade. Although the top three trending brands are all blends, or blended malts in the case of Monkey Shoulder, malts make up the bulk of the list with, again, the majority being peated brands. Independent bottler Compass Box also demonstrates its cult status and rise in popularity with an appearance on both lists, despite being named as a company rather than its individual brands, the most renowned of which is blended grain Hedonism. Hamish Smith, editor of the World’s 50 Best Bars, said: ‘While Johnnie Walker seems untouchable, single malts have clearly left the dust of the back bar behind and are getting some long-deserved pouring time. The report polled the top 250 bars as listed by DI’s annual awards, to name their three best-selling and three most requested brands throughout the year. Of 100 respondents, 28 bars stand among the top 50, including London’s Nightjar, New York’s Employees Only and American Bar at The Savoy, also in London. ‘The best bartenders won’t serve any old hooch but they are also running a business,’ Smith said. ‘So we too wanted to know the brands that are not necessarily doing huge volumes but have cool-appeal right now. ‘So the trending lists – to borrow from Twitter parlance – are made up of brands customers are increasingly asking for. The Artesian at The Langham London was named best bar in the world at the 2015 World’s Best Bars awards, with New York’s Dead Rabbit Grocery & Grog in second place and Nightjar in third. The majority of bars on the annual list are classed as specialist or luxury cocktail bars. As pub chains, high volume bars and clubs were not polled as part of the survey, the report only gives a representation of the brands sold or requested in high-end operations.